Riverside School - Summer Fair - Rodeo Bull! Summer Fair - Rodeo Bull! 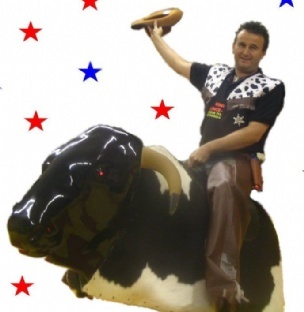 Don't forget to come on down to our Wild West Bonanza Summer Fair on 16th June. Try your skills on the Rodeo Bull. There's a prize for whoever can stay on the longest! We would also be grateful for donations of bottles for our Tombola, raffle prizes and we will be sending our raffle tickets this week.